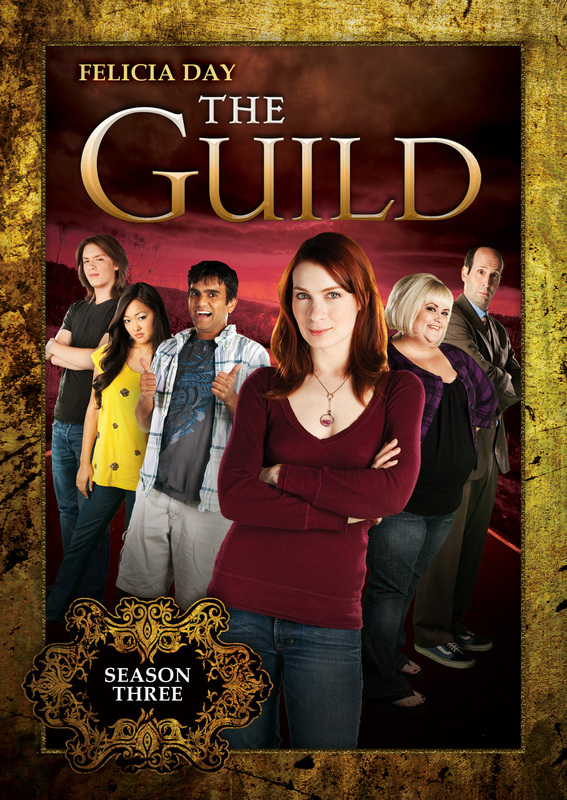 With over 50 million worldwide views, THE GUILD is one of the most popular episodic comedies on the World Wide Web—and now it’s back! Season 3 finds our favorite Guild falling apart after the disastrous party that ended Season 2. Waiting outside a gaming store for their game’s latest expansion pack, they encounter the Axis of Anarchy, a rival Guild led by Fawkes (Wil Wheaton, Star Trek: The Next Generation). Vork resigns in shame, leaving Codex (Felicia Day) in charge of keeping the Guild together in the face of Axis of Anarchy’s efforts to destroy them. Will the Guild members overcome their differences to survive? This DVD includes all 12 episodes from Season 3, along with an epic amount of exclusive bonus material not seen on the Internet. ©2009 Knights of Good Productions. All Rights Reserved. Art and Design ©2010 New Video Group, Inc. All Rights Reserved. Marketed and distributed in the U.S. by New Video.